For kids, teens, & adults with special needs. 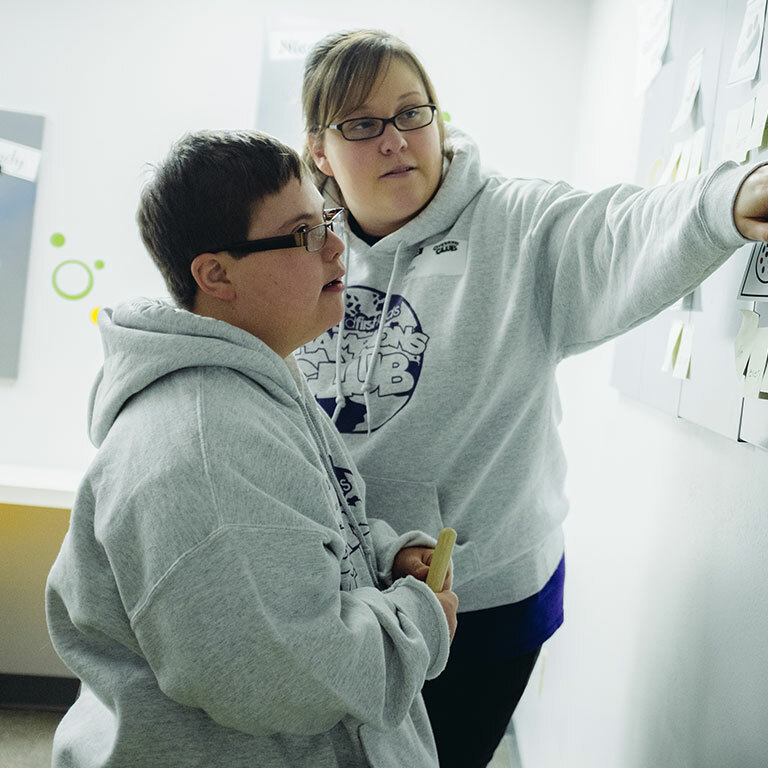 Champions Club exists to provide caring environments of faith and hope for individuals with special needs! 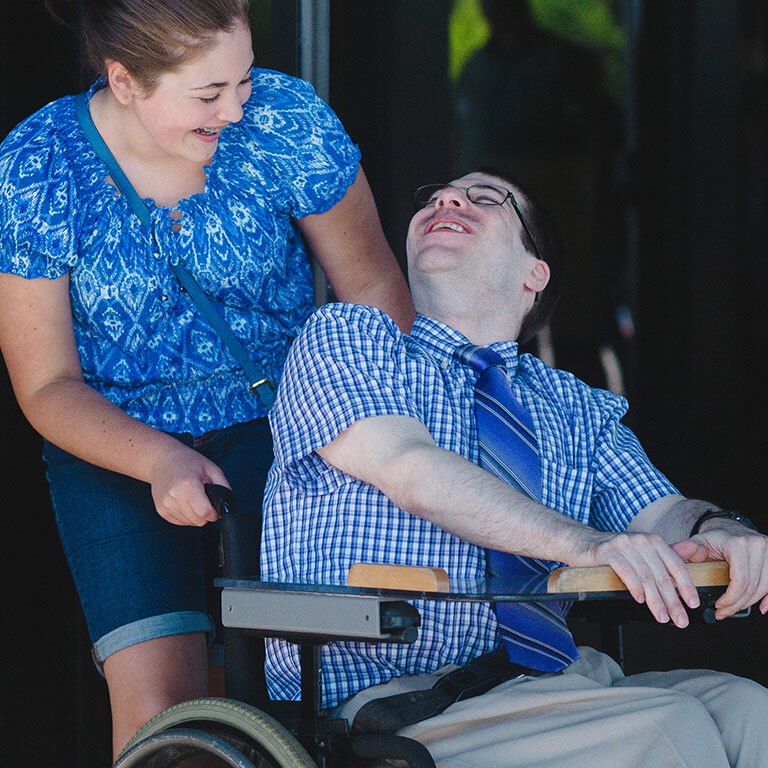 We have specialized environments for each age group – kids, teens, and adults – and volunteers that are trained to minister to the spiritual, physical, and emotional needs of our Champions. Click the link below to check your location for availability & service times. Champions Club was designed with four rooms in mind: a Sensory Room, a Spiritual Therapy Room, Educational Room, and a Physical Therapy Room. The children experience a 15-minute rotation through each of the four developmental areas during the service which they attend. The ratio for this specialized program is one child per teacher. Each child is ministered to on an individual level. The Sensory Room was created as an environment for “cause and effect” activities that will allow an opportunity for each child to become involved through sight, sound, touch and smell. For example: Our Bubble Tubes provide multi-sensory feedback and stimulate the visual system, engaging the child’s ability to track bubbles and objects. The constant effects of color change are also effective in promoting color recognition and visual perception. Further, gazing at a tube may enhance their level of relaxation. Touching the tube offers tactile feedback as they feel the vibratory sensations shiver through their hands. The Educational Room is an extension of the Sensory Room. Educational sensory stimulation involves the sensation of touch and texture. Autistic children with tactile sensory issues may have difficulty tolerating different sensations. The tactile panels in this area are ideal for reinforcing logical thinking, eye/hand coordination, dexterity and visual tracking. Computers with touch screens allow the children to engage and games are user-friendly. This room helps to develop individual social and emotional interaction and engages the children physically. For example: The Vibroacoustic Lighted Tunnel – Music resonates as the floor vibrates, offering them a stimulating experience as they tunnel their way through this sensory station. In the Spiritual Therapy Room we teach curriculum using one-to-one ratios in a learning center format. Children are encouraged to participate in experiencing Praise and Worship through singing, hand motions, sign language and musical instruments. They also learn Bible stories through storytelling, songs, and take home crafts. For additional information, feel free to contact our Champions Club Coordinator, Chris Merz, at 815-877-8000 or email at championsclub@cityfirst.church.